this time on the gift of Illumination. We have spoken of Truth. And, we have spoken of Peace. And, we have spoken of Understanding, not necessarily in that order. But, you cannot speak about one without speaking about the others. And, Illumination is a great part of Truth, and Peace, and Understanding. For you see, when you fully Understand what Illumination is, to some degree you would say, yes, it is the Truth. Yes, it is the Truth being in the Light. You could say it is the Light of the Truth, from the Truth, and it's from the Understanding, and so on. Now think about that for just a moment. What if every motive were laid bare to seen by all, to be Understood by all? How would that change your world? for then there would be no more guesswork. There would be no more shadows. There would be no more Illusion. So you see, in some ways, you might see Illumination as the opposite of Illusion. Illusion takes your power away from you. And so you see, when you set about trying to move into a time of Peace, you try to make your changes, and your choices of Peace, and so on you can't do any of this without first getting to the Truth, then Understanding it, then claiming your power through your own Illumined state, your own Illumination. Then, you can change your world. This is a very powerful thought, and I want each of you to give it some serious consideration. Claim your power! Claim your Light! Claim your Illumination! listening to anyone's voice - including my own. 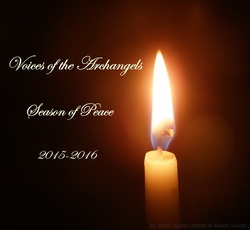 your Angelic Guides, your Spirit Guides, whatever you wish to call them. Until you reach inside and connect with your own Heart and your own Guidance, you cannot find your own Illumination. And, Illumination is key at this moment in time for you and for every being of Life throughout the Universe of Universes, and particularly right now on your planet with Gaea – Mother Earth. it is going to be exceedingly difficult for you to change your mind. You see, as with everything, there is a time. There is a place. There is a space. There is a purpose. There is a reason, and so on. And, you are in a time right now that is reaching, you might say, a deadline, a midway point, a point where push has come to shove and it's time to get off the fence and make a choice. Will you go one way? Will you go another? And, you cannot make that choice unless you are standing in your own Light, your own Truth, your own Illumination. It's time for you to Understand yourselves. It's time for you to find your own Truth. Therein shall you find your own Peace. They cannot see without their own Lights turned on, you see. They must turn on their own Lights. They must find their own inner Illumination. So the way, sometimes, to help people who are just awakening, who cannot see what you can see, is not to say, “Let me show you.” It is to say, “Let me help you find your own Truth.” For, each person must decide within their own Hearts what is Truth. And, you might be surprised, considering there are more than seven billion of you on the planet, you might think that each of you will come – and I am speaking only of humans here – you might think that each of you will come to a different Truth. So, there would be seven billion plus Truths in the world. And, to some degree, there are, but that's in a personal sense. But, overall, in a global sense, in the sense of humanity, there is only one Truth, and that Truth is Love. And, when you find that Love inside, you see the Truth of all other things. You find that Love is your Truth stone inside of you. And, when you help another person find that within themselves, you have given them the key to immortality, just as you hold, for Love never dies. It never goes away, no matter what happens. It is the only true thing that is immortal. And, it is the only thing that will provide you with the Illumination that you need to live in the times that you are living in. I cannot overemphasize the importance of this. Take a moment and think about your Life. Where does your path of Love flow? When you hear about a disaster that happens in some part of the world, what is your first response? Where do you feel the first response? You must learn to start using your sensory organ, which is your body, to show you the Truth of things. Where do you feel it in your body when you hear on the news, or you read in the paper, or you live through something, that is awful? Where do you feel that in your body? Where does it register? or right our your base chakras. And, it is usually painful. And, it is painful because that is your body registering what is happening to another person. You are not separate, by any means. Not by any stretch of the imagination are you separate from one another. Because, if there is violence and pain and hurt happening, you will register that to some degree in your body. But, it should be a stimuli and that is the reason why these things are in place. It is a stimuli for you to stand up and say, “Wait! Do not do this to this person. Do not do this to this place. Do not do this to this animal, to this tree.” You are all connected. It is not just humans here. You are all connected, and when you begin to feel – some people call this empathetic, and I say to you that the definition of empathetic is far short of what the Truth of Illumination really is – you can feel what is happening to these other beings of Life. And, then you learn, don't do that. It not only hurts them. It hurts you. And, in Truth, this is what Life is all about. For all the violence that happens in your world, at this moment in time, people that hurt people are also hurting themselves. And, they are hurting every other person. But, the other side of this is not bad. It is good, because when you share a Joy, when another person feels Joy, you can also feel that. You feel happiness. It doesn't matter what the emotion is, you see. It doesn't matter what the emotion is. It can be felt. It can be shared. And, this is a form of Oneness. And, this is part of what Illumination is all about. or seeing and Understanding the Truth, although it is these things, too. But, it is also your power, and it is your connectedness. It is a part of your Oneness. You must find it now. Reach inside. Look for the Love inside, and begin there. That's where you start. For some of you, it may be difficult to admit certain Truths to yourself. Maybe you think a person Loves you and they do not. And, maybe you've known that all along. There are many questions. Look at your world around you. What of your world leaders? Where do they show Love? A person in a position of leadership should always show Love and care and concern for his or her own people. And, a wise leader shows care and concern and Love for others, as well. It is one thing to Protect your own nation and your own people. It is quite another to go about perpetrating harm against another people for whatever reason you might have. There is no need for any more of this defensiveness around the world. It is time to put away these things, and to simply Love each other, to be Illumined together. You have such great potential as human beings. It is built within you. You have such tremendous potential. sharing that with each other? partially because you are unaware of it. You could make your own planet, your own place in the Universe, such a magnificent example of possibilities. You would draw audiences such as you cannot even imagine. And, you could each know Utopia. You could know nothing but Joy. You could know nothing but happiness, and Love, and Abundance – plenty for all to share in. for it is a reflection of your choices born of Free Will. then you must look inside. You must find your Peace. You must find your Truth. and then claim the power of it. Allow yourself to become Illuminated. Your Illumination will speak for you. Do not be afraid to be who you are. Do not be afraid to let the Light of the Love that you are shine. Each of you is unique and beautiful! Each of you is your own specific Light, unlike any other. And, together, you make a most magnificent Light. Live your potential from this Illumined state. Think of my words, my beloved children and know that I Love you beyond measure, and I share my Illumination with you. For this moment, I will leave you with these words, and thank you for hearing mine.